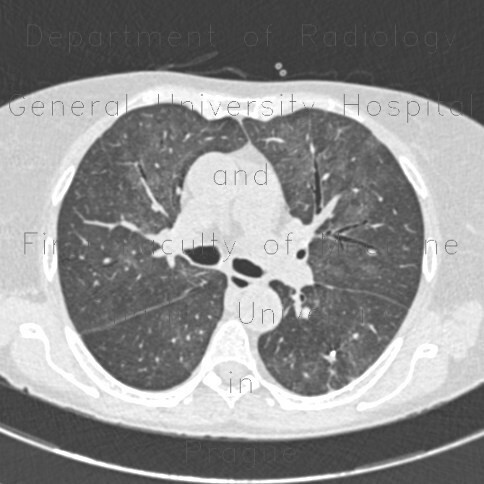 This HRCT of the lungs was requested in a patient after bone marrow transplant, who developed fever. It shows patchy areas of increased parenchymal attenuation (ground-glass). A differential diagnosis would include atypical pneumonia (CMV, PCP, influenza) or transplant rejection. In this patient, it was CMV pneumonia.